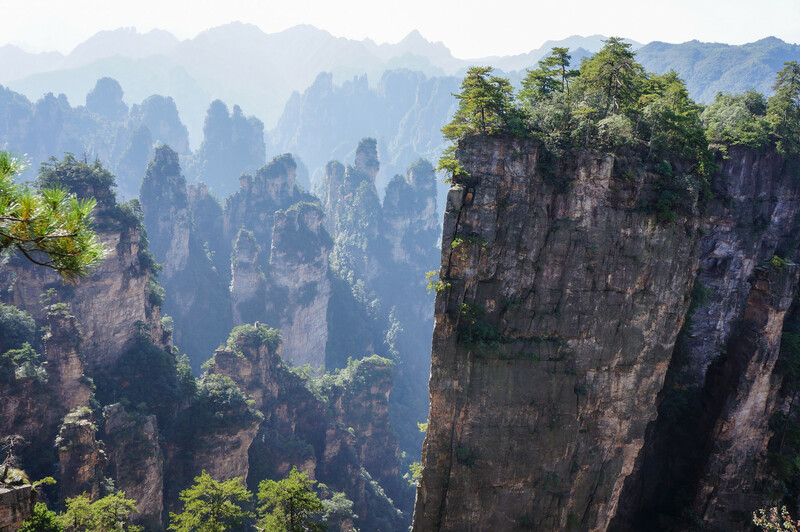 The Heavenly Pillar located in Zhangjiajie National Forest Park was the inspiration for creating the Hallelujah Mountains in the Hollywood film “Avatar”. 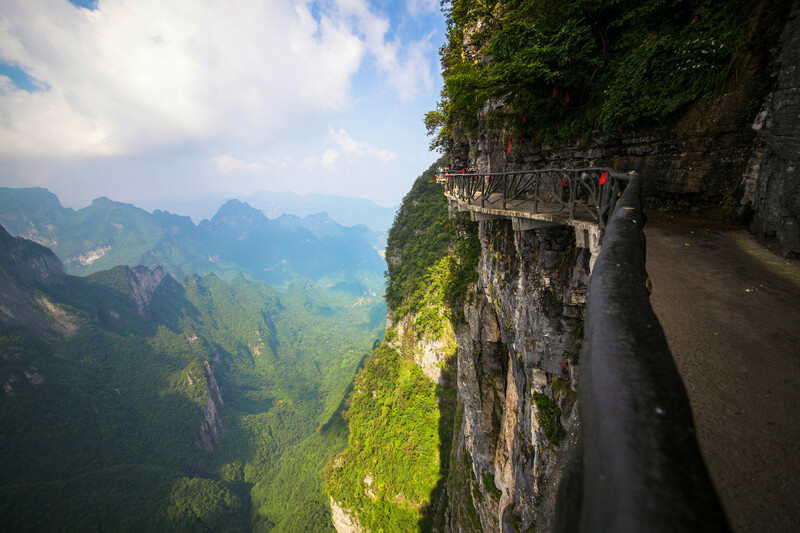 Ever since the charming city of Zhangjiajie has gained worldwide fame and has seen a lot of inbound overseas tourists as well. 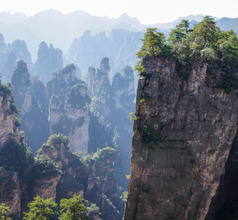 Zhangjiajie is located amidst picturesque mountains in the Hunan Province of China. The land around the city is a UNESCO World Heritage Site filled with beautiful peaks, dense forests, crystal clear lakes, cascading waterfalls, attractive rock formations and cliffs, and more. Yet, the city is sufficiently urbanized and modern, such that it has good infrastructure, transport, and well-established tourism and hospitality services. A little over 235Kms from Zhangjiajie City is a unique town where time seems to have stopped! 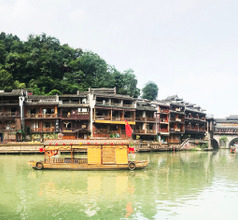 Called the Phoenix Ancient Town or Fenghuang Ancient Town. 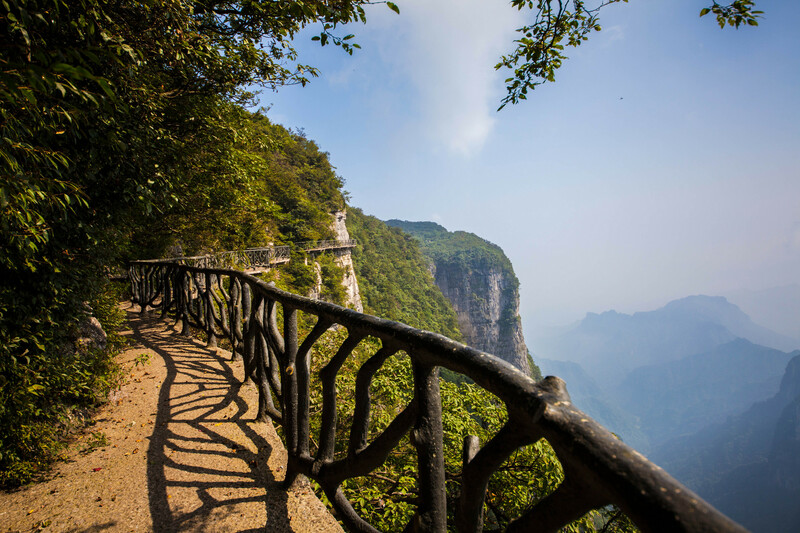 Zhangjiajie is the easiest access point to visit this charming place. The town is blessed with the most stunning natural beauty of mountains, water bodies, clear skies, and pollution-free air. At a glance, the town looks just like a classic Chinese painting where people live in harmony with nature. 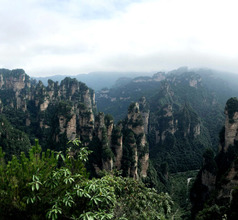 In contrast, the prefecture-level city of Zhangjiajie is an urban area with plenty of modern facilities. What tourist love most about the place is the mountain resorts with spectacular views of the forest areas! Another aspect that draws visitors to the city is its aura of friendliness. The locals are accustomed to foreign visitors and have a polite and helpful attitude. 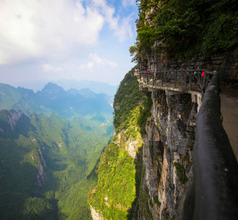 Zhangjiajie City had developed into a popular tourist destination after the Wulingyuan Park was declared a UNESCO site. But it has become even more of a tourist hotspot since the movie “Avatar” was released in December 2009. Accommodation-wise, the city has plenty of choices to suit any preference or budget. One can choose from 3, 4, 5, grade-one, service-apartments, homestays, guesthouses, youth hostels, lots of inns. The mountain-view hotels are very popular, especially the 5-star luxury resorts and spas which provide in-house multi-cuisine restaurants and a full gamut of amenities to ensure that guests have a wonderful time in the city. The low-priced hotels and other places have clean premises and helpful staff. But there is a chance that the employees may not understand English. So it will prove useful to download a suitable voice-based translation app or carry a dictionary. 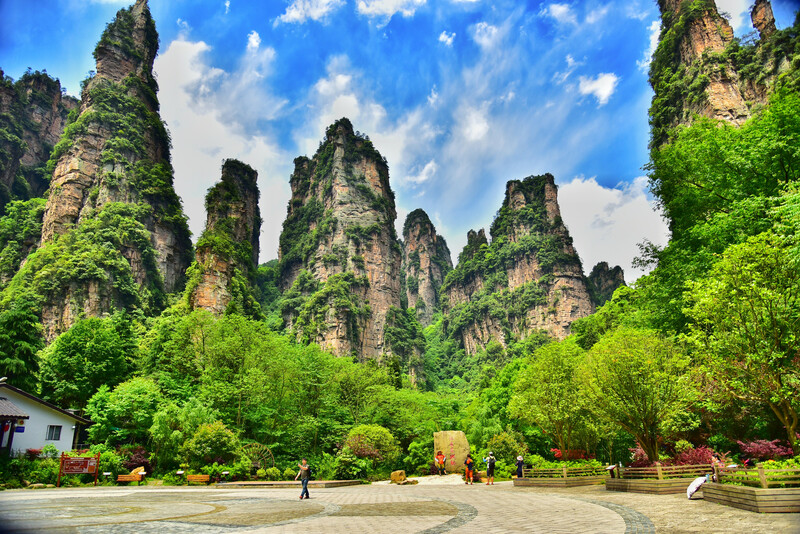 Zhangjiajie City has the distinction of being home to China’s first ever national park, the Wulingyuan Scenic and Historic Interest Area. Its breathtaking scenery of pillar-shaped mountains, lush green virgin forests, and a multitude of water bodies has elevated the park to the UNESCO heritage list in 1992. 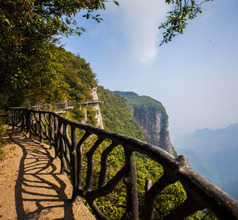 The Tianzi Peak is the best vantage point. To explore Wulingyuan Park, the authorities have provided two facilities. The park has the world’s longest cable car system and the world’s tallest outdoor elevator (Bailong Elevator)! These facilities are just right for getting a panoramic view of Wulingyuan Park’s scenic area. 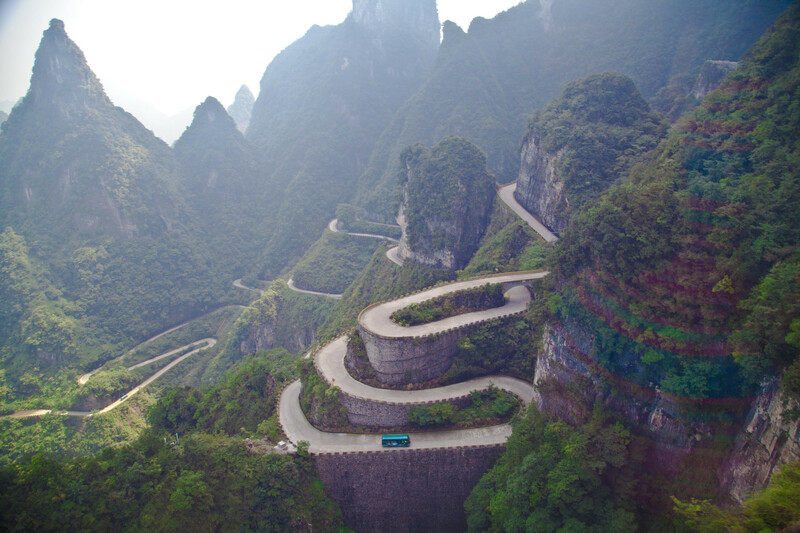 Another scenic spot that is a must-see near Zhangjiajie is the Tianmen Mountain National Forest Park. This area is dominated by the massive Tianmen Cave, a naturally formed karst cave (bright and colorful rocks) under the mountain. This site is as beautiful on top as it is underground. The colorful stalactites and stalagmites look like rainbows under the mountain, while the tall trees and curling vines add to its external beauty. 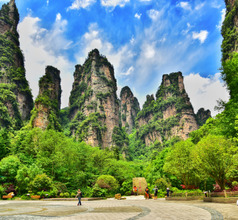 The Suoxi Valley Nature Reserve near Zhangjiajie City is also a bonanza of tourist attractions. The Yellow Dragon Cave located here is spread over a 100,000 square meters area. It consists of 4 pools, a reservoir, 3 waterfalls, 2 rivers, 13 halls with 96 entries, all under the ground! Due to its size, the sizes of the stalactites and stalagmites are also enormous. The Suoxi Valley Nature Reserve also has the picturesque Suoxi Village or Suoxiyu which means, “foggy-mountain village” in the Tujia language. 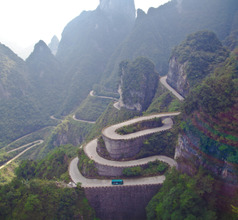 This scenic spot is made up of splendid narrow gorges and magnificent mountains besides the Dragon Cave. Another attraction and a must-see is the beautiful Baofeng Lake. The lake is so large that there are cruises available for tourists to appreciate the surrounding scenery of mountain peaks and waterfalls. The cruises include a visit to the Yingwo Ethnic Village which is an interesting experience. Zhangjiajie Hehua International (previously Dayong Airport) is a compact airport with a scenic backdrop. Downtown is 5 kms from the airport and shuttle buses make the trip for free. City bus No.4 goes to Central Bus Station (downtown), charging RMB2 while taxis, refusing to use the meter, cost up to RMB30. 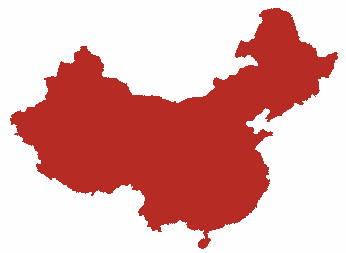 Flights to Taiwan, Thailand, Indonesia and Hong Kong can be caught from here, while the most travelled local link is to Chnagsha and Shanghai. There is no shortage of restaurants in Zhangjiajie City for overseas tourists. There are plenty of restaurants serving Chinese and Asian specialties. There are western-style cafes and fast food takeaways. The city has several bars and brew-pubs that are open till the early hours of the morning. One can visit the BBQ bars for the tastiest grilled snacks in the city. And for those who like to eat in style, there are a few gastro-pubs too. There are no purely vegetarian restaurants in the city. Visitors with an adventurous palate had better be prepared for plenty of heat where the local food is concerned! The cuisine of Zhangjiajie City and the entire Hunan Province is even spicier than the one in Sichuan Province! But if one can tolerate spice, their food specialties are a real treat. They often used pickled ingredients in their dishes like pickled peppers, cabbage, meat, fish, and/or ginger. Some of their famous local dishes are hot and spicy chicken, smoked pork with dried long green beans, steamed ham, red roasted fish fins, etc.